The chances are you have never experienced anything like the Aloha Fun Tank anywhere in the world. 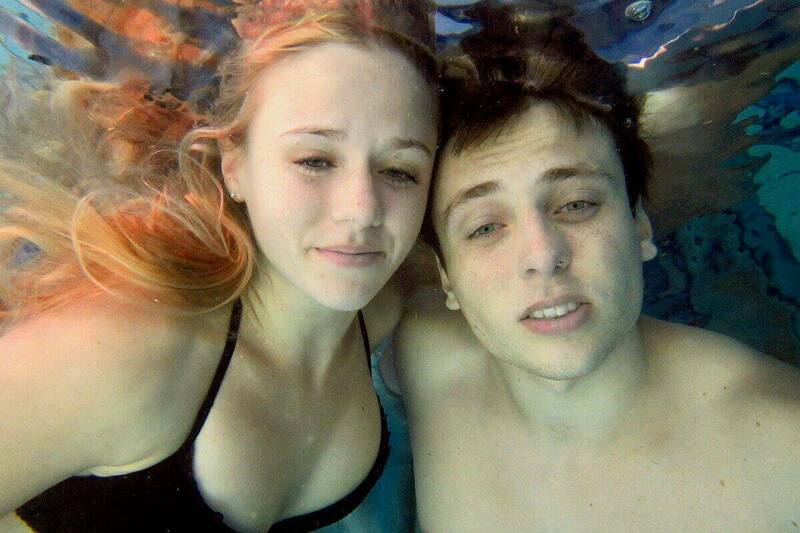 Did you ever imagine that getting into the water – and even under it – could be so much fun!! 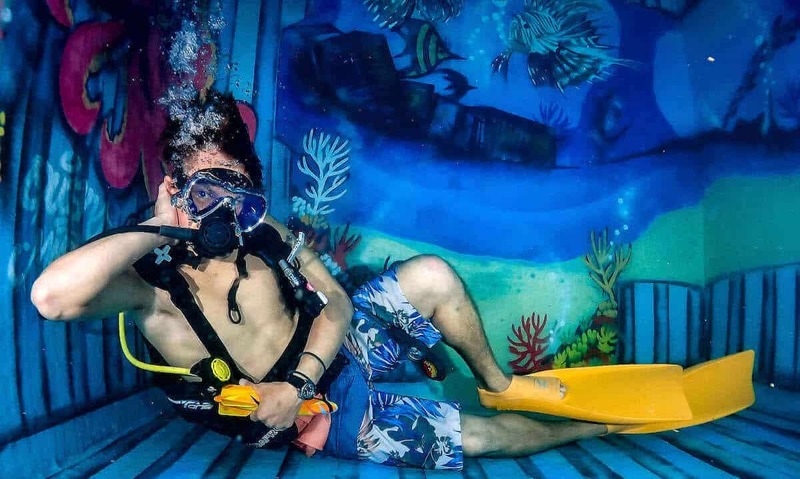 The Aloha Fun Tank provides on the spot, easy, low cost access to underwater enjoyment for everyone. What is the Fun Tank? 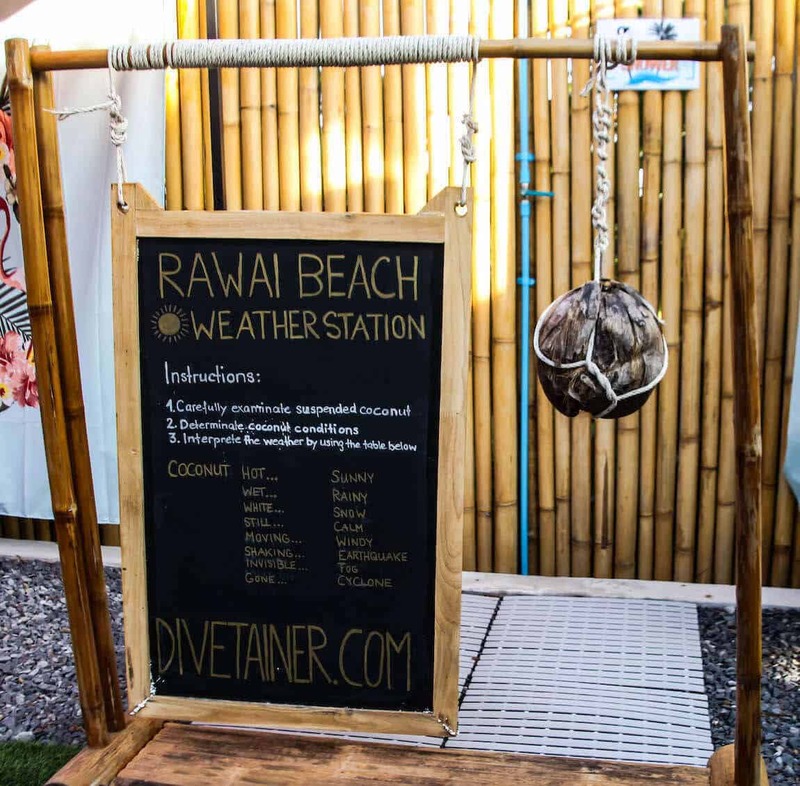 The Aloha Fun Tank is a recycled 20 foot long shipping container that has been converted into a swimming tank or pool. 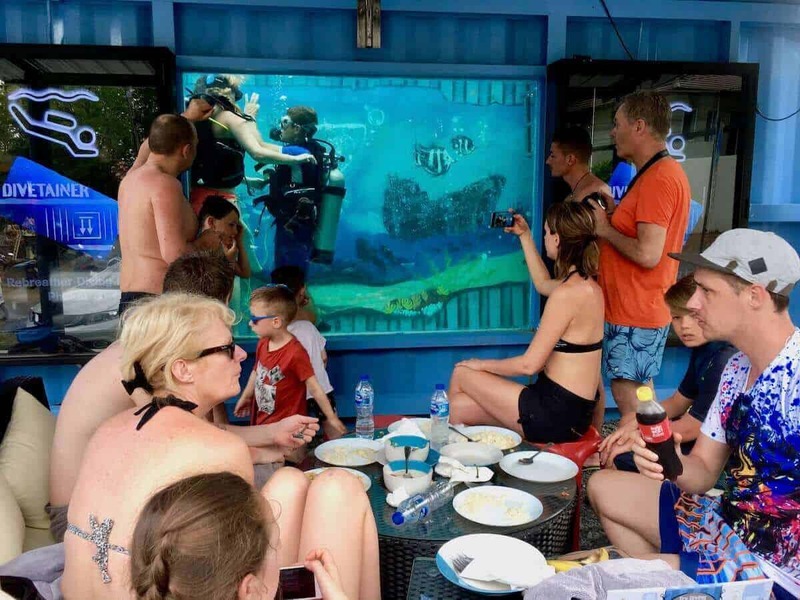 It has a large window on its side so people can see in – and if you are in the water, you can see out!! There are almost endless opportunities for having fun in the tank for people of all ages. Who can have fun in the Fun Tank? It is not necessary to have had any experience swimming or diving to enjoy all the benefits of our FunTank. 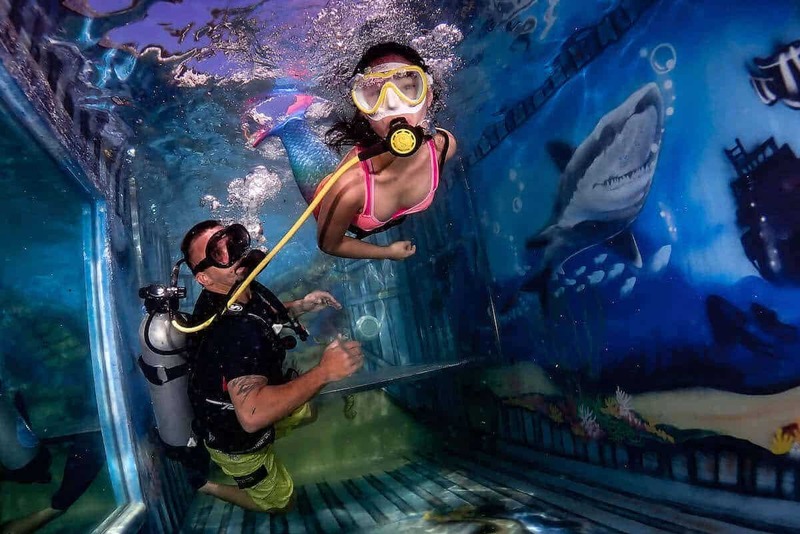 Anyone can enjoy swimming in and under the water at the Fun Tank under full expert supervision. Young children should be under the supervision of a parent or guardian. What we have on offer at the Fun Tank? 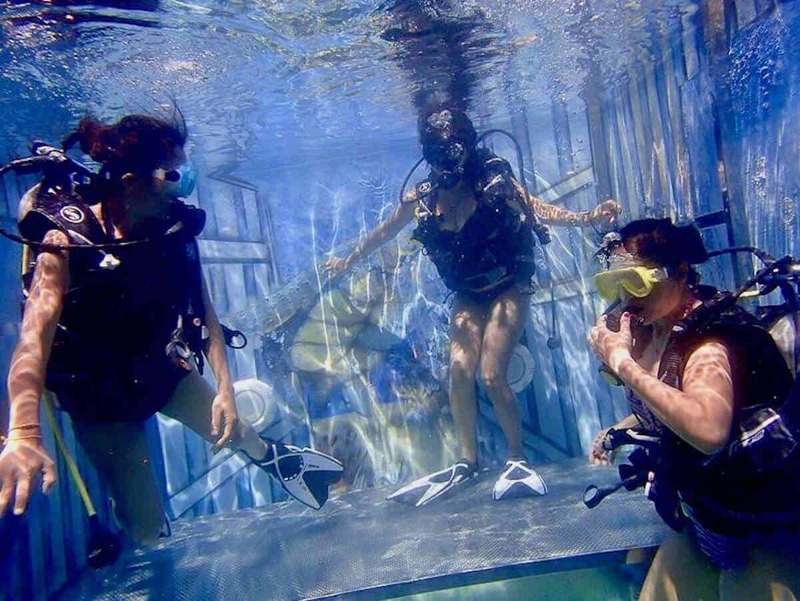 There is a vast range of activities on offer at the Aloha Fun Tank – and the chances are that you will think of ways of having fun in the water at Aloha that we haven’t thought of. The Fun Tank is open 6 days a week and in all weather conditions. It is the perfect alternative to having fun in the water when it is too rough or dangerous to swim at the beach. It is also private and you can enjoy the water without having to cope with crowds of tourists. Corporate events – get your work colleagues into the water! 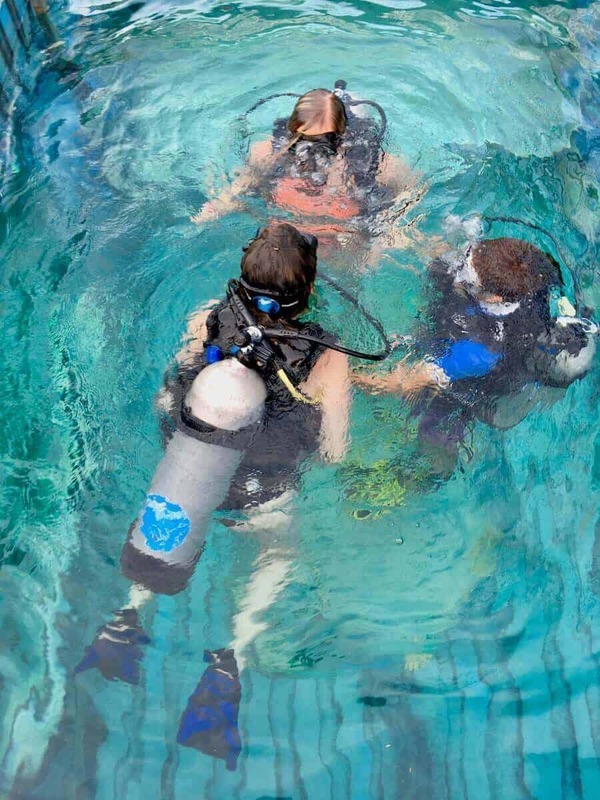 Try scuba diving – low cost, safe, fun and hassle free. 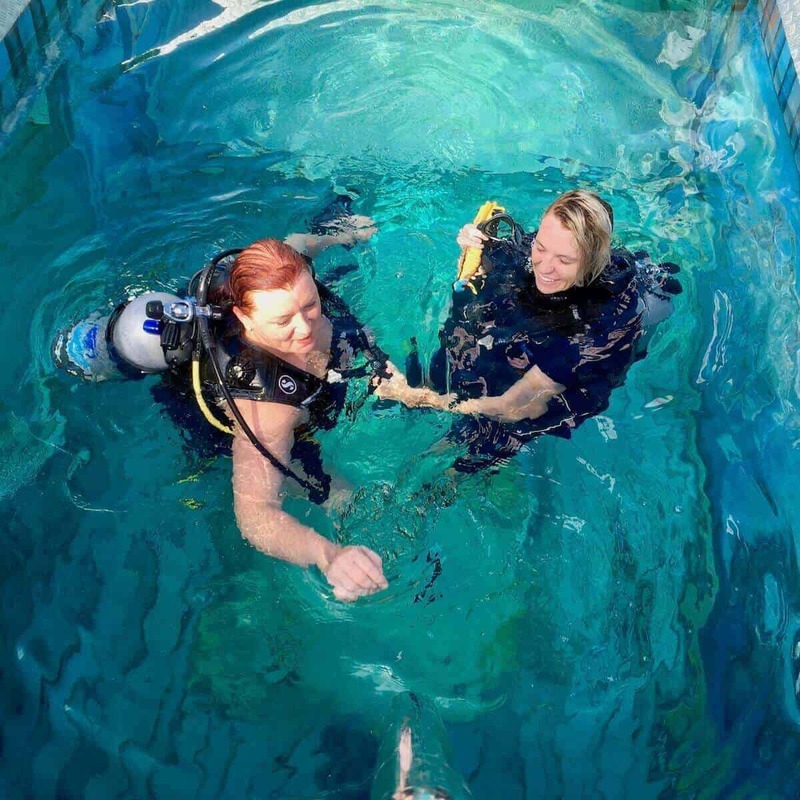 Formal courses in diving available. Where is the Fun Tank? The Aloha Fun Tank is located in the heart of the popular Nai Harn Beach / Rawai Beach precinct. 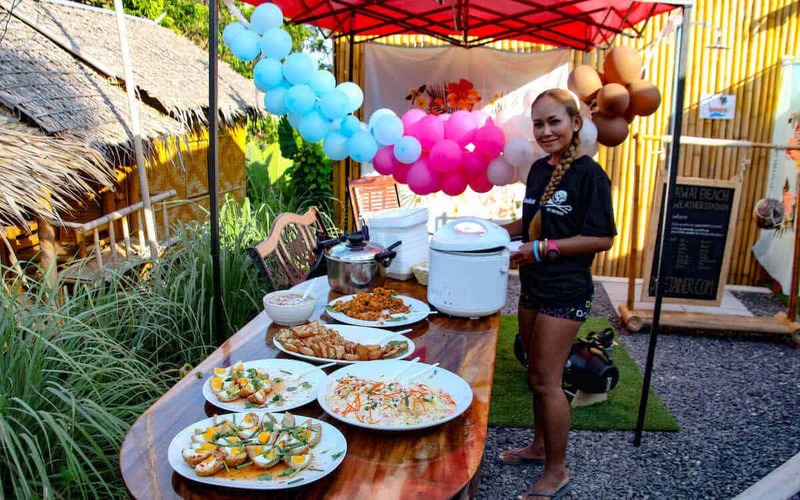 Find us at the main road between Rawai Beach and Nai Harn. 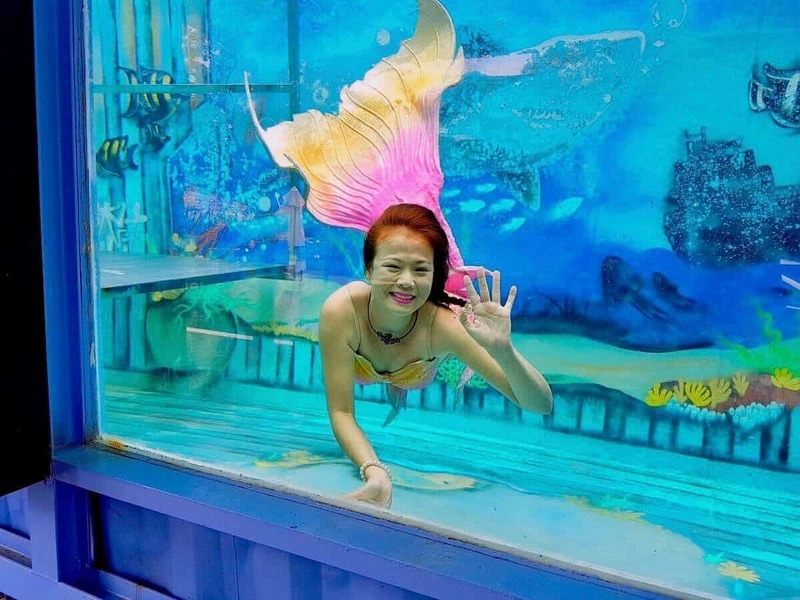 Do I need to be an experienced swimmer to have fun in the tank? You need have had no experience swimming to enjoy the Fun Tank. If you have never been in the water before, an expert supervisor will be on hand at all times – and will assist you in the water according to your individual needs. Aloha Diving and the Aloha Fun Tank have a growing partnership with the Phuket Ice Skating ICE ARENA PHUKET. Special packages are available soon for Fun Tankers and Ice Skaters to ensure you get the most fun at the lowest cost possible during your holiday in Phuket. Or if you are lucky enough to call Phuket home, we will have special packages for you as well. 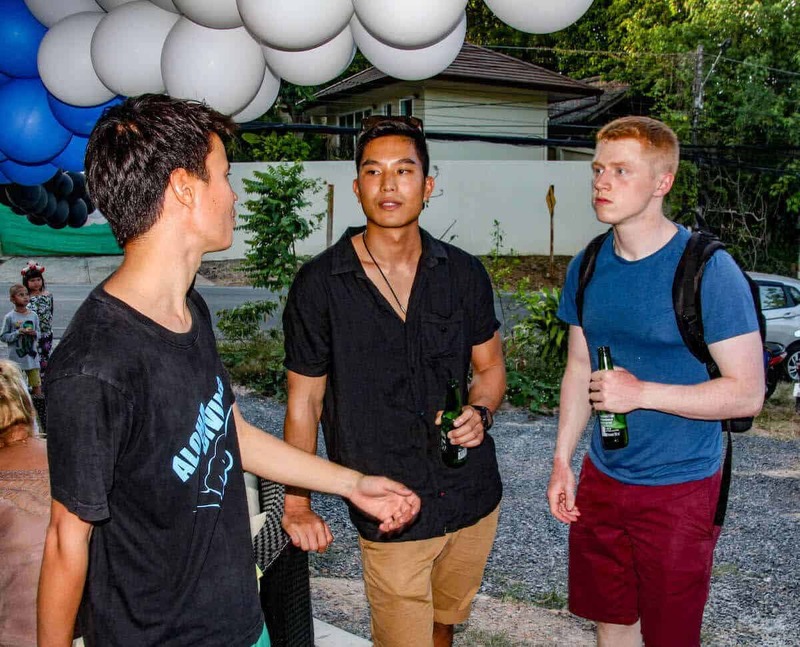 Regular guests at the Fun Tank are most welcome and we will have attractive rates for you. In a cozy ambience you can enjoy delicious Thai dishes and fresh fruit juices, paired with the typical Thai hospitality. For other activities please ask us for a detailed quote.